David Bowie added four more posthumous award nominations to his tally today, this time for the 2016 MTV Video Music Awards. Bowie was recognized in four professional categories for two music videos. His video “Blackstar” was nominated for Best Art Direction, and “Lazarus” secured nods for Best Direction, Best Cinematography and Best Editing. If there is any justice in the world, certainly it demands the Man Who Fell To Earth take home all of the MoonMen offered him. 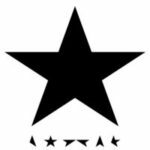 Both songs are featured on Bowie’s 25th studio album, Blackstar, which was released on his birthday, January 8. Two days after it dropped, the music superstar passed away at age 69 following an 18-month battle with cancer. The artist’s longtime producer and friend Tony Visconti later revealed in a Facebook post that Bowie planned the final album as his swan song and “parting gift” to the world. The “Lazarus” video dropped on January 7 and some rather astute fans interpreted the ominous video as a nod and a hint to Bowie’s long rumored health issues and part of his artistic vision around his passing. 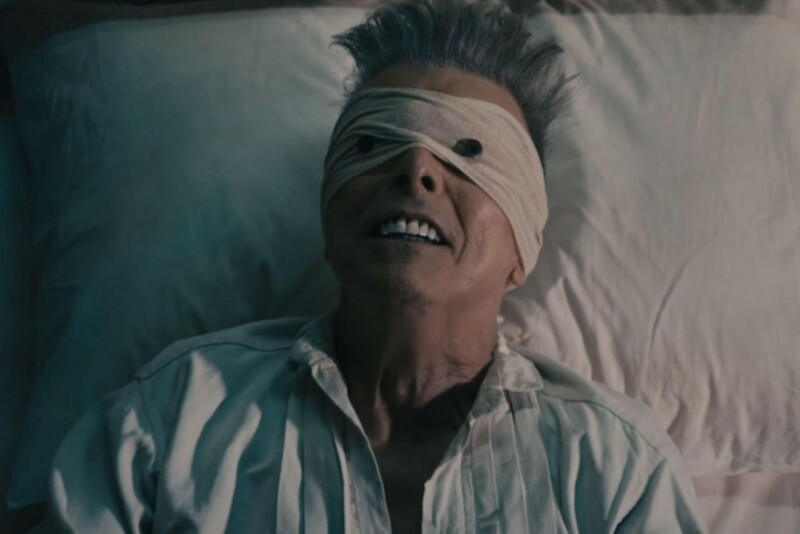 The video features Bowie strapped to a hospital bed, writhing around, with bandages wrapped around his head and buttons attached where his eyes would be. At the end of the dark, eerie video, he walks into a dark wardrobe. Another short film, the haunting and puzzling ★, released in November 2015, also prominently featured the visual of Bowie’s bandaged eyes in his role as a blind prophet stuck in a cell with several others. The VMA nominations are the latest in a long string of posthumous awards Bowie’s been nominated for. Undoubtedly, they will not be the last. If YGiM had her say, she feels that she can objectively state that her Starman would win every music award that exists henceforth, forever. The music icon competed for Top Rock Album at the 2016 Billboard Music Awards for ★, losing to Twenty One Pilots Blurryface. ★ is also eligible to be considered for the Grammy Awards in 2017, since the qualifying period began in October 2015. Check out the full list of nominees below, and vote for your favorites at vma.mtv.com. Tune in to MTV on Sunday, August 28, at 9 p.m. ET to watch the wins at NYC’s Madison Square Garden.